The defence ministers emphasize the importance of concerted action in strengthening stability and security in the SCO space, Russian Deputy Defence Minister Anatoly Antonov said. The defence ministers of the Shanghai Cooperation Organization (SCO) member-countries have agreed to improve the coordination consultative mechanisms in maintaining security, Russian Deputy Defence Minister Anatoly Antonov told reporters on Wednesday following meeting of SCO defence ministers in Astana. "With the growing threat of international terrorism and religious extremism, the defence ministers emphasize the importance of concerted action in strengthening stability and security in the SCO space," Antonov said. 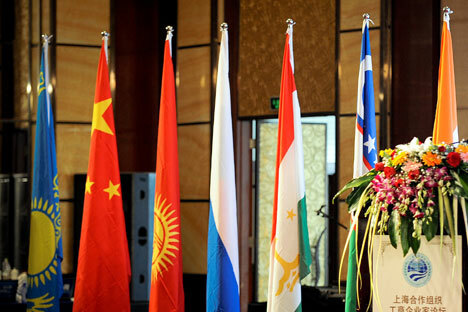 He noted that the heads of the delegations agreed "to develop the coordination consultative mechanisms to ensure security, enhance cooperation between the defence ministries to counter military threats in close proximity to the borders of the SCO member-countries and exchange information promptly." The participants in the meeting also discussed preparations for the Peace Mission-2016 joint exercises, "which demonstrate the determination of the SCO countries to fight the ‘three evil forces’ - terrorism, extremism and separatism," Antonov added. He went on to say that they had noted "good results" of the fifth Moscow International Security Conference that took place in April and the conference on Afghanistan held in the Russian capital last fall. "[The participants in the meeting] spoke highly of the Russian armed forces’ actions in Syria to combat international terrorism and render assistance to the Syrian people, including in demining liberated cities," Antonov said, adding that the next meeting of the SCO defence ministers will be held in Kazakhstan in 2017.